Equip your Rolleiflex 2.8F 2.8E 2.8D 2.8C with these awesome accessories to have more creative photographs! A camera that consists of dual lenses, the vintage TLR camera, which stands for twin-lens reflex, includes two lenses that work together to allow photographers to take pictures with one lens and use the other lens as a viewfinder. Camera companies created the TLR in the 1870s, which simplified the art of picture taking. These cameras later evolved into SLR cameras, which paved the way for DSLR cameras used today. Collecting TLR cameras is an interesting hobby for camera buffs, and there are 10 models of less expensive TLR cameras to check into and consider before consumers add another vintage camera to their collection. Made in Japan in the ’70s, the Yashica MAT-124G camera uses 120 or 220 film. The stylish model is a hand crank camera with an F3.5 lens, and includes a special viewfinder for sports shots. Created for taking action photos, The Yashica offers two modes: 12-exposure or 24-exposure. The MAT-124G was a popular budget camera in its day, and the well-built camera includes shutter speeds up to 1/500 and a self-timer. Built in the ’70s to compete with Rollei cameras, the Japanese Mamiya C330 camera includes interchangeable lenses, a feature that not all TLR cameras have, and photographers can attach different viewfinders for a customized experience. The camera uses either 120 or 220 film, and uses a winding crank. The bellows pull out for intimate portraits, and there are two different shutter release buttons. The heavy camera works well for tripod use. 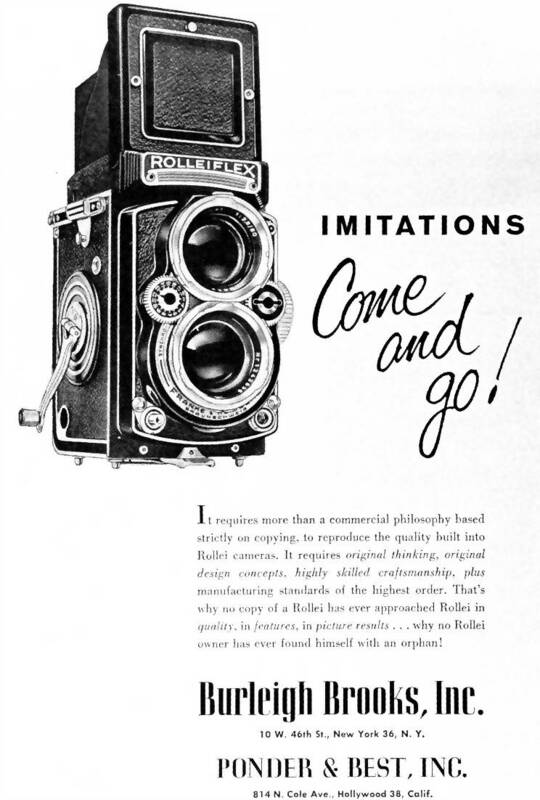 The German company that paved the way for TLR cameras created the Rolleicord II Type 3 in 1938. The camera has a Carl Zeiss F3.5 lens, and a mirror used for eye-level photography. The Rolleicord features a bayonet lens hood and speeds from 1 to 1/100. The Rolleicord focuses swiftly for crisp pictures, and has a flip-up hood containing the viewfinder. A matching case made of leather complements the camera. Made in the ’30s, the Baby Rolleiflex 4×4 K1 camera is a compact version of the original Rolleiflex camera. The Baby Rolleiflex uses 127 film, and the TLR camera has an exposed shutter design. The camera is more of a collectors’ item than a usable camera due to the lack of 127 film availability. The camera uses the shutter dial to control the speed of the shutter, and the side crank switches to the next shot when turned. Another camera made to go up against the popular Rollei, the Ansco Automatic Reflex TLR camera is an American-made camera with a classic design created in the 1940s. The Ansco camera’s claim to fame was its user-friendly design. The camera offers multiple controls for focusing, and users can advance film after each shot. The long, F3.5 lens is unique, and the stylish camera reaches speeds of 1/400. Made in New York in the 1950s, the Graflex 22 TLR camera uses 120 film. The Graflex camera has knobs for focusing and winding film, and a convenient tab for shutter release. The camera has a sports viewfinder for eye-level photography, and shutter speeds from 1/10 to 1/200. Built-in synchronization helps users shoot with the correct type of flash, and the camera is a quality yet basic TLR camera. Available with three unique shutter styles and several lens options, the Reflekta II uses 120 film to take color or black and white photos. Manufactured in Germany in the ’50s, the camera includes a feature to prevent photographers from shooting double exposures. The camera has a viewfinder on the top and a magnifying glass for focusing purposes. Beloved Japanese camera brand Minolta came out with the Autocord in the ’50s. The lightweight Autocord camera includes a F3.5 lens, and the durable camera offers superior features, such as high shutter speeds of up to 1/500 and an included light meter in some models. The TLR camera has an easy-to-use lever for focusing, and two shutter springs. Whether you have a penchant for collecting antique cameras or you are a photographer who loves to experiment with them, find high-quality vintage TLR cameras on eBay. Search for a specific camera by keywords, such as the “Reflekta II,” or type in “TLR cameras” to browse a wider selection. Purchase cameras from sellers with excellent feedback. Vintage cameras paved the way for today’s high tech picture takers. However, there is joy in using old cameras to capture today’s precious moments. The quality of many TLR cameras still holds up well, and provides a unique feel to photos that is unmatched by digital cameras.